You scared baby birds out of their nest, oh no! Will they be okay? You’ve gone to peek at a nest. 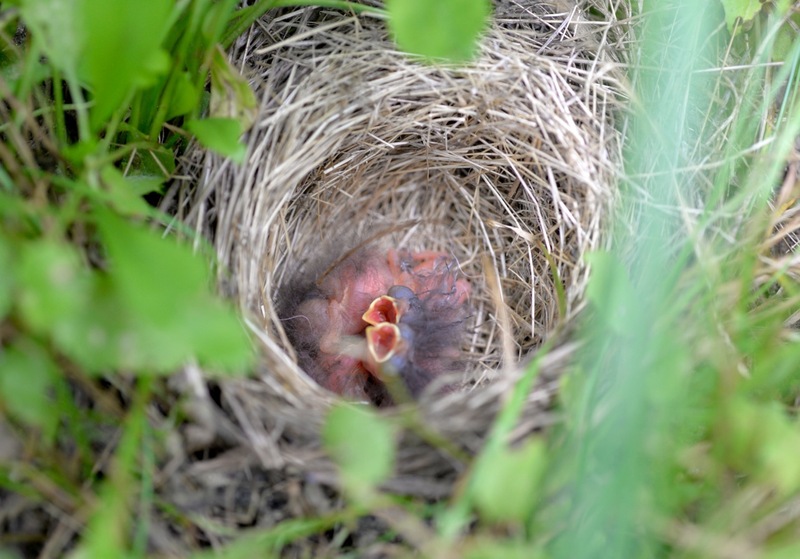 For a moment, all the little feathered heads regard you with large, dark eyes—and then in a flurry and a tumble they are out of the nest, running every which way along the ground, and their parents are scolding you and swooping among their babies in apparent panic. Oh no! Will the babies be okay? This is possibly the question I am asked most frequently. Sometimes the inquirer has managed to catch a few of the babies and replace them in the nest, only for the babies to promptly hop back out. 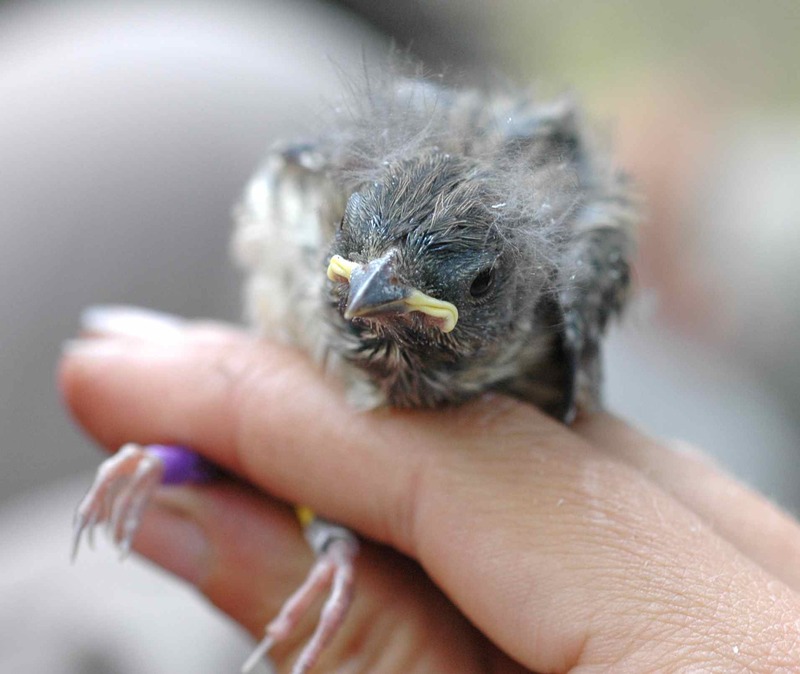 Other times the babies have swiftly vanished, and the inquirer—often someone who has watched the nest over the course of weeks, growing attached to their fluffy neighbors—is left, quite suddenly, with silence and absence and a gnawing guilt. The egret chicks at the nesting colony are growing. They’re doing some neat stuff as they grow, like practicing walking very carefully along branches. But they are also getting up to a lot of nonsense. Siblings! No fighting, no biting! 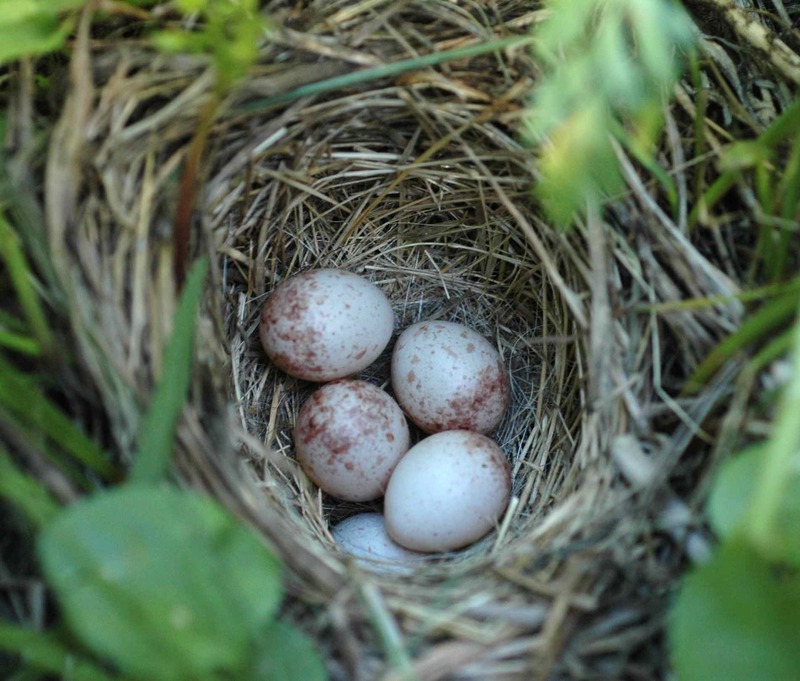 I’ve seen a lot of junco nests in my four years of field work. 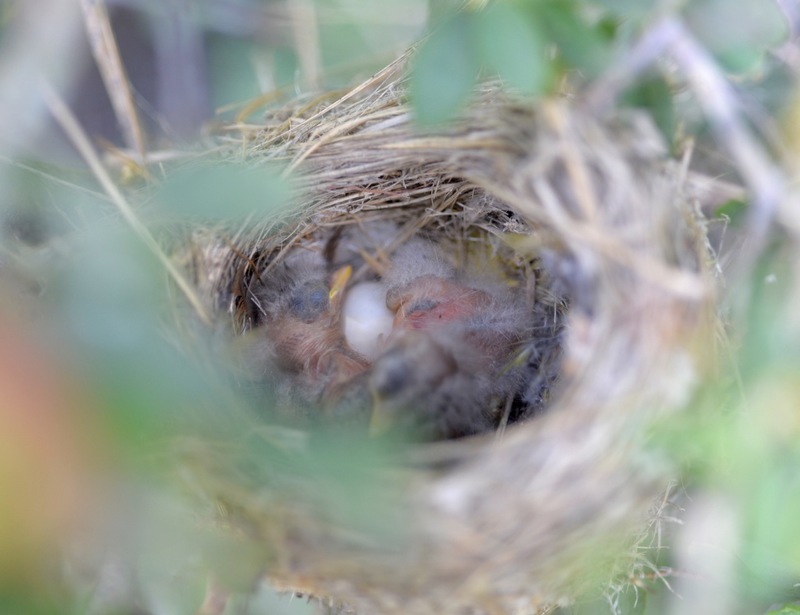 Rarely, I’ve been lucky enough to happen upon the nest of something other than a junco. I don’t find enough of these other nests to study them, so they don’t help me in my research—but boy, is it fun to find them! 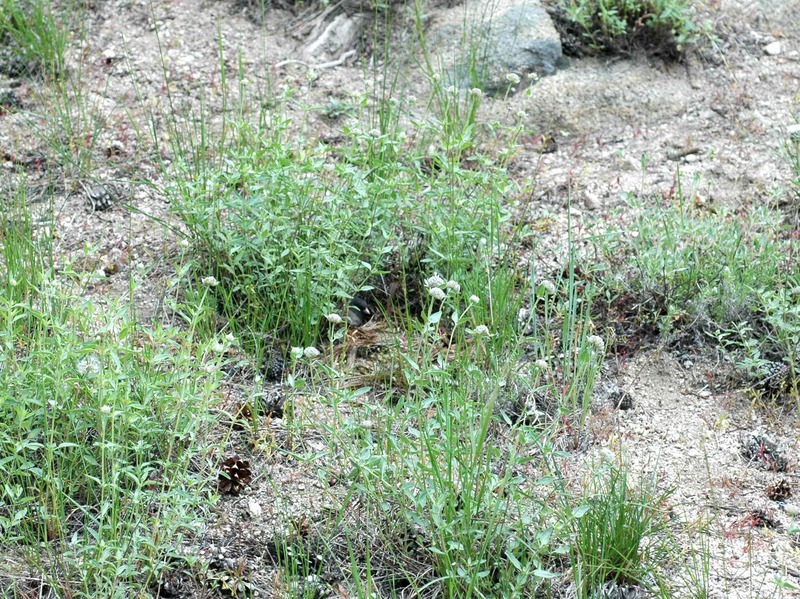 Quick review: this is a junco nest. Some major differences: the junco’s is a ground nest, while this one is a cup nest, suspended above the ground in the branches of a bush. The chicks are covered in light greyish fuzz instead of the junco chicks’ dark fuzz, and are maybe a bit stockier than the junco chicks. It’s rare that I have photos of the process of banding a nest, since usually everyone is holding a chick and we don’t have any extra hands for photographic documentation. For a few nests, however, I was lucky enough to have my father with us, and boy does he like to photograph things! Thanks to him I can show you what it looks like when we band a nest. EDIT: If you click on these (or any photos on this blog) you can see them bigger. The nest, tucked next to the clump of plants in the center. If you look closely you can see Mom sitting on it. Me taking the chicks from the nest, with Kyle ready to catch any runners. Often when you approach the nest, the female will flare her tail and spread her wings and run around on the ground to try to draw your attention away from the nest. This is a tail-on view of Mom doing that. Mom, angrily chipping at us. Small nest? Big babies? No problem! Nesting moms, are you having trouble fitting all your babies into one nest? Your troubles are over! We’ve got photos to inspire you to fit all those babies into one nest in an elegant, orderly way. A successful breeding season doesn’t have to mean clutter anymore! These eggs are a mess. Look at that one shoved under the others. Don’t let this be your nest! 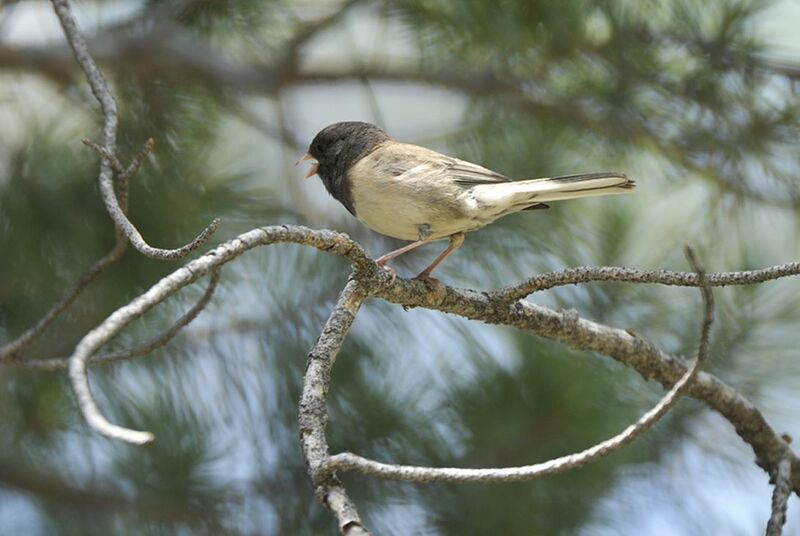 If you get too close to a nest or a young fledgling, the parent juncos will often give a repeated, angry chip call. I don’t understand how this could possibly be adaptive—I would understand a snake-like hiss, or a tiger roar, but no one’s scared of “chip”—but as silly as it is for the parents to broadcast, effectively, “My nest is here, don’t come find it!” I do appreciate the help. 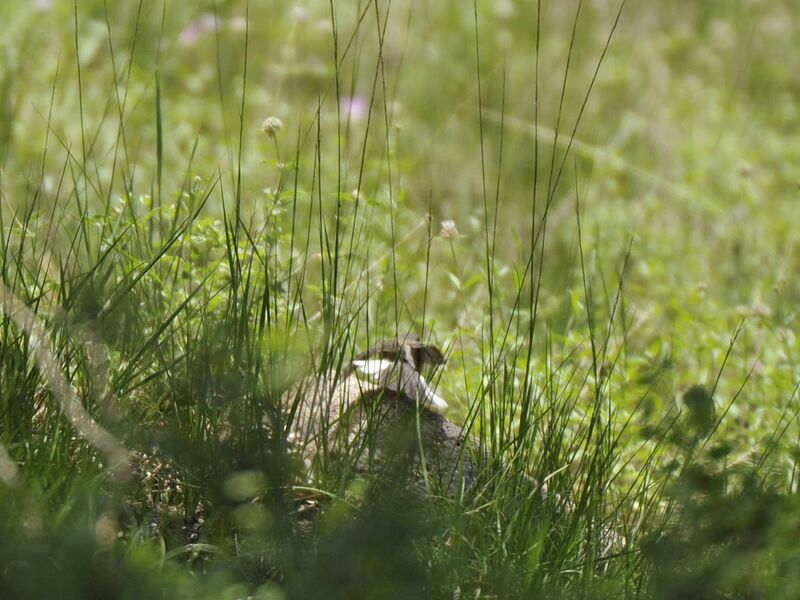 On our last trip we noticed SNAE and his unbanded mate chipping insistently. SNAE. 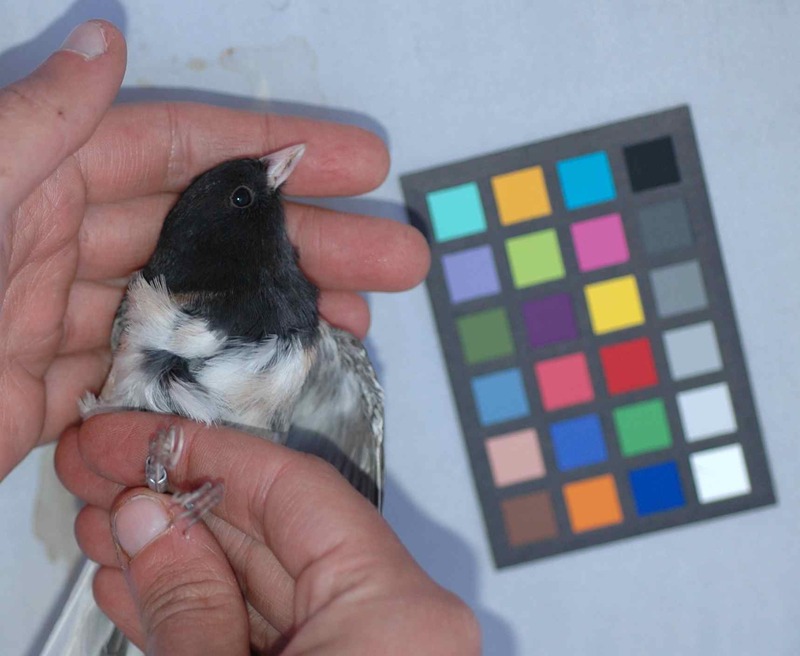 I photograph all the juncos I catch from several angles like this; the color standard card you see in the background lets me compare colors among pictures, to look at color differences among the juncos.